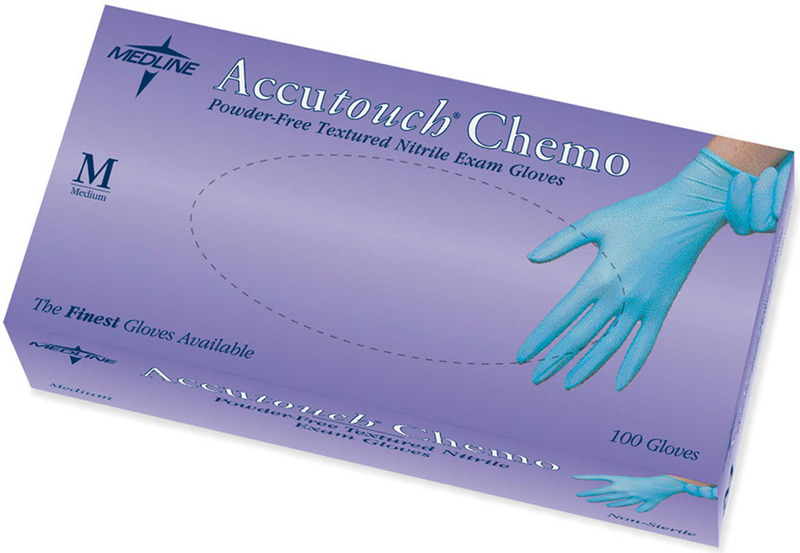 Accutouch® chemo nitrile exam gloves feature excellent tactile sensitivity and high tensile strength for durable barrier protection. Textured for a secure grip, with tight cuffs to minimize accidental exposure to blood-borne pathogens and other contaminated fluids. Approved for use with chemotherapy drugs, formaldehyde and gluteraldehyde.